When abstracts of title are required, PPS engages experienced title attorneys and is available to oversee this aspect of the project. If a project impacts a property over a certain, pre-determined dollar amount, or if there are issues with liens and judgments, unsettled estates, or various other matters that cloud outright ownership of a property, a title abstract may be required. If a title abstract is necessary, Professional Property Services, Inc. (PPS) has working relationships with many respected abstracts of title professionals who are qualified to provide title reports from county records to the exact specifications of the client and, if needed, PPS can retain local licensed attorneys and/or title companies anywhere a project is located to provide preliminary title reports, title updates, closing services, and abstractor’s final certificates. PPS land acquisition agents review each preliminary title report to check it for accuracy and completeness in an effort to ensure errors or omissions do not affect the project timeline. 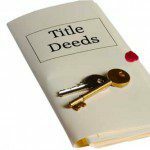 If title insurance is required, PPS is able to select and supervise the title insurance company and, if necessary, address title exceptions listed within the title commitment. When abstracts of title are required for a project, we have the resources to engage with experienced title attorneys who are also available for closing services when necessary. PPS has the capability and capacity to oversee this aspect of a project. If you’d like more information regarding abstracts of title services, please contact us.